Heavenly blog! : No. 870: It is wrong for the font to pray to God, without we pray in Jesus' name! Scripture urges no place neither to pray to Jesus or to the Holy Spirit! No. 870: It is wrong for the font to pray to God, without we pray in Jesus' name! Scripture urges no place neither to pray to Jesus or to the Holy Spirit! It is wrong for the font to pray to God, without we pray in Jesus' name! Scripture urges no place neither to pray to Jesus or to the Holy Spirit! Everything we do, we teach and believe. It should and must be in accordance with God's word. Or is it not so important? For me this is an absolute! Jesus prays to his Father, and we should also pray to God the Father, but then in his "place" or in his name. Have read through the Bible many times and have not found any place that we should pray to God without it happens in Jesus' name. And we should not pray to Jesus or to the Holy Spirit, but of God. This is without doubt a guideline for us humans how pray and turn to God and gain experience society and contact with him! Jesus urged us not to pray to him, but to God, his and our Father. Joh.e. 16. 23 And in that day you shall not ask me about anything. Verily, verily, I say unto you, Whatsoever ye shall ask the Father, he will give you in my name. 24 Hitinntil have not asked any thing in my name; bed, and ye shall receive, that your joy may be complete! This was Jesus' clear teaching and message that he came that we should all be able to pray to the Father in heaven. Get answers to prayer, and have fellowship and communion with God, our Father. Therefore pray now for Jesus or the Holy Spirit, we find no written evidence. Fair enough to pray to Jesus, he is ne person. But the Holy Spirit? It becomes fanaticism and without meaning! Jesus is our mentor, he never prayed to the Holy Spirit. Shall we do it? Jesus never prayed to himself or encouraged the disciples to it, shall we do it? How often Jesus taught that prayer and worship should be directed to the Trinity, God's spirit or himself? If we read the word of God through so we never find any place that a spirit is presented as a separate person that this is suddenly the Spirit of God is a person who is to believe that the Big Bang or other hypotheses! To believe that the three gods took each other out in space and became a god, is to me more unlikely the Big Bang theory. There is only one God who is before all, Father. Jesus is created or brought to pass out of the Father and the Holy Ghost is no separate Gude Person teaches writing, but part of God or God's energy and power! The story goes that the first Christians came together here at Jesus tomb in Jerusalem every Sunday morning to pray and praise until Jerusalem was destroyed in the year. 70. AD. Prayer is the Christian's primary weapon, opportunity and access for the largest to reach the living God if we pray to God the Father in Jesus' name. The only prayer that we are guaranteed to expect and believe for answers to prayer is when we pray to Abba Father in heaven in the Lord Jesus Christ! Prayer is the first thing a believer should and should do in all of life's situations and under all options. And have tried all other options and ways, then prayer always be successful! This author learned in her own life, so this is not just theory but for me a living reality! Prayer is as much a sigh like big words, only what comes from a sincere heart that has a need and want to believe God! From my commentaries Hebrews 11 6 Without faith it is impossible to please God. For he who comes to God must believe that he is, and that he rewards those who seek Him. We must believe God and in accordance with scripture. It is possible to believe but it is in accordance with scripture, it is essential if it is God's faith or not. God sanctions only one thing: Christ and the Word of God! All prayer is directed to God the Father is not biblical prayer. It is through his son Jesus Christ we come into contact with the living and invisible God, no other roads lead forward. It was on the cross he atoned the sin but it was at the resurrection all this becomes available. Rooms. 1. 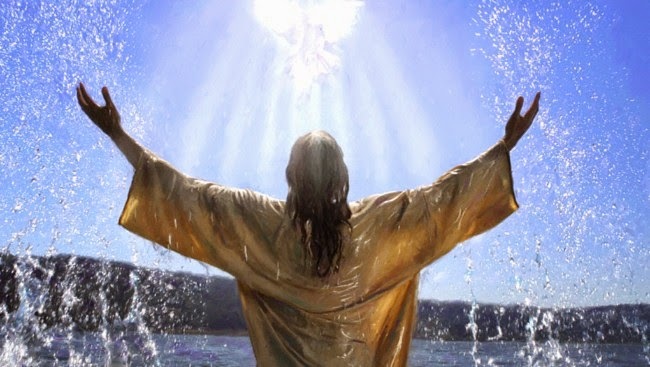 4 that after the holy spirit is declared to be the Son of God by the resurrection from the dead, Jesus Christ our Lord. The main evidence for this is that his tomb is empty down in Jerusalem, has been there myself and found him when he is risen!